Foo Fighters made clear they don't think they'll get too old to rock as they released a surprise new single Thursday that imagined the band at a nursing home. The song, "Run," marks a shift back to the whirling guitars and screeching vocals reminiscent of frontman Dave Grohl's earlier band Nirvana after more tame recent fare from Foo Fighters. 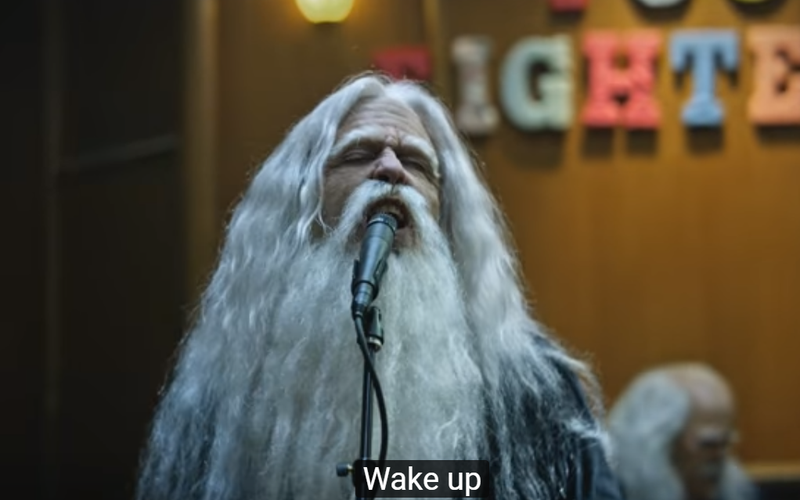 In a video also directed by the 48-year-old Grohl, Foo Fighters appear with flowing white hair and beards as the evening entertainment at a nursing home. The elderly crowd erupts into a mosh pit after the song's intense first bridge, with an old man stage-diving to the horror of nursing home staff and one aging woman flashing her breasts. "Wake up / Run for your life with me," Grohl sings as he speaks of youthful escape. Foo Fighters released the song without warning and did not indicate whether it foreshadowed a full album on the way. The band's last full album, "Sonic Highways," came out in 2014, accompanied by a television series in which Grohl explored the roots of US music. The band released an EP, "Saint Cecilia," in late 2015 as a free download dedicated to the victims of the attack on Paris. Formed from the ashes of Nirvana in 1994, Foo Fighters have frequently hinted and then dispelled notions that the band was ready to retire. Foo Fighters head out soon on a tour of Europe and Asia and will headline summer festivals including Glastonbury in England, Roskilde in Denmark and Summer Sonic in Japan.